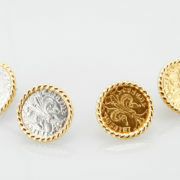 The name Florin devolves from the Iris flower depicted on one side of the coin , the opposite side depicts Saint John the Baptist the patron and protector of Florence . In the 13th century till the Renaissance , the florin , due to the strong influence of the Florentine banks it became the main currency of Europe . 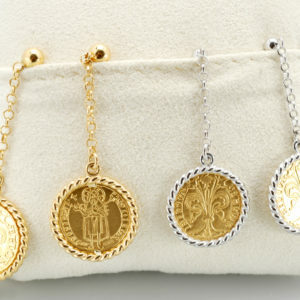 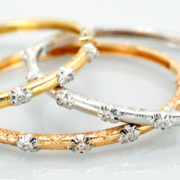 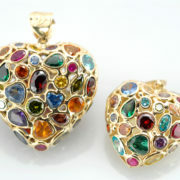 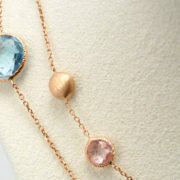 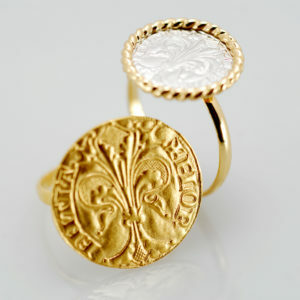 The original had a diameter of 19mm and was in pure gold , but now it is reproduced also in 18 kt and in different sizes . 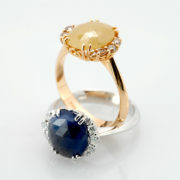 Artisans now craft rings , earrings , bracelets , pendents and necklaces , using different colours , yellow , white , and rose gold.